Please see below for the full translation. Energy security threats have been, and still are, some of the most important concerns of all countries and defense organizations, including the North Atlantic Treaty Organization (NATO). NATO may not have been too much concerned about this issue during the Cold War, but the final communiques of NATO’s Riga 2006 and Bucharest 2008 summits included, for the first time, a reference to the Alliance’s concerns about the security of energy supplies to its member states on the background of the gas crisis between Ukraine and Russia in 2006. These communiques were followed by NATO’s Strategic Concept 2010 document which explicitly articulated NATO’s vision on energy security threats. The Strategic Concept states that “energy supplies are increasingly exposed to disruption” and therefore the NATO should “develop the capacity to contribute to energy security, including protection of critical energy infrastructure and transit areas and lines, cooperation with partners, and consultations among Allies on the basis of strategic assessments and contingency planning”. Notwithstanding the importance of the above, there is a crucial question that must be asked: is this strategy sufficient to address the threats facing the energy security at present? In this regard, we should take two very important indicators into account. The first indicator is that, out of 17 instances of disruption to energy supplies in the world, the Middle East region – which has significant strategic partnerships with NATO – accounted for the largest share of these disruptions with a total of 14 incidents. The second factor is that: energy threats are no longer restricted to conventional terrorism. According to a study published in 2017 by German company Siemens, that included interviews with executives from the oil and gas industry in the Middle East, 50% of the total cyberattacks in the Middle East region targeted the oil and gas sectors. This means that oil facilities that rely on modern technology are no longer safe from the threats of cyber terrorism. NATO began formulating a comprehensive energy security strategy in 2008, focusing on three main areas: (1) pursuing efforts to enhance its strategic awareness of energy developments with security implications; (2) developing its competence in supporting the protection of critical energy infrastructure; and (3) working towards significantly improving the energy efficiency of the military. However, what concerns us most here is NATO’s role in maintaining the energy security of its partners in the Middle East and the Arabian Gulf, which has been translated into creating institutions within NATO’s structure to deal with energy security. The first of these institutions was the establishment of a new NATO division to deal with Emerging Security Challenges, including energy security, followed by the establishment the NATO Energy Security Centre of Excellence in 2012 and lately in 2017, NATO Defense Ministers approved plans to modernize NATO’s command structure, including the establishment of a new joint force command for the Atlantic to help protect sea lines of communication between North America and Europe. As an observer can deduce from statements made by NATO officials, preserving energy security was, and still is, a central issue for NATO member countries. In other words, it can be said that the NATO countries have established what can be called “red lines”. NATO will not allow these red lines be crossed to threaten the energy security of member states, in consideration of the fact that a majority of NATO countries depend on oil import from outside their territories. Perhaps the military interventions by major NATO members, although as individual countries and not through the NATO as an organization, to maintain the security of energy during the Iran-Iraq war of the 1980s and the Kuwait liberation war in 1991, confirm this argument. This, however, does not mean that NATO’s strategy is to wait for threats of wars like these to energy security before it takes action. NATO’s policies indicate that it plays a major role in confronting energy security threats but within the framework of collective efforts. 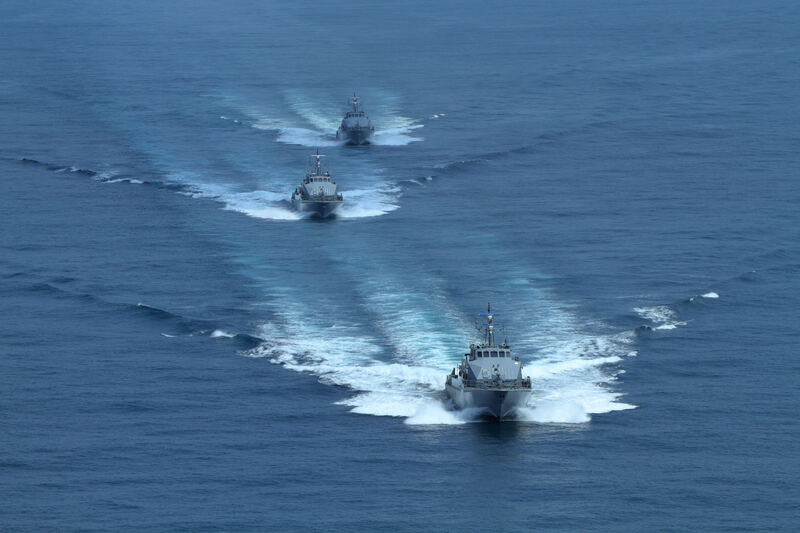 As part of this role, NATO has been participating in international efforts to combat piracy in the Indian Ocean since 2008 until now, which helps protect the vital marine routes through which oil passes. NATO is also a member of the Global Coalition to Defeat ISIS since 2017, and furthermore, it is involved in the training of the security forces of some countries that have strategic partnerships with NATO to strengthen their capabilities to confront armed terrorist groups that target oil installations or energy routes. Notwithstanding the importance of those strategies as reflected in NATO’s regional partnerships following the end of the Cold War era, I imagine that three regional security developments, in particular, will make NATO more concerned with energy security: first, the increase in threats to vital waterways through which oil exports pass especially the straits of Hormuz and Bab al-Mandab, and the presence of NATO ships near the latter as part of the efforts to combat piracy off the coast of Somalia and the Gulf of Aden and to make up for the planned reduction of US presence in Somalia and the intended withdrawal from Syria. The presence of NATO in this area will not only enhance its role in respect of energy security but also to all the challenges to regional security. Secondly, in view of NATO’s keenness to institutionalize its regional partnerships, including the establishment of its Regional Center of the Istanbul Cooperation Initiative (ICI) in Kuwait in 2007, it will be the main mechanism through which the Gulf States that are members of ICI can benefit from NATO’s strategies to ensure energy security; and thirdly, NATO’s keen interest in developing its naval forces comes in line with efforts of the Gulf States that have made significant progress in this respect, including their participation in multinational coalitions that comprise large numbers of states such as Combat Task Forces (CTF) 150, 151 and 152 that are tasked with dealing with the various threats facing the security of the Arabian Gulf. Such participation enables the Gulf states to work with NATO in its efforts to maintain energy security in particular and maritime security in general.